It's over. The era of European grand touring--the pursuit and enjoyment of elite speed across the face of the continent in powerful cars, the classic driving vacation--is finito. I've tried: From Wales to Croatia, from southern Italy to northern Scotland, and definitely not central France. I'm worried about my car-loving friends, though. Europe's nearly airtight enforcement of speed limits threatens whole empires of make-believe: brands like Aston Martin and Mercedes-AMG; aftermarket tuners and tire makers; and all the businesses that swim like remoras next to big, expensive cars (detailing, insurance, auction houses, road- rallies). Their businesses all hang on a myth, the promise of Europe as a driving playground, which it hasn't been, really, since the 1960s. 'Europe's near-airtight enforcement of speed limits threatens whole empires of automotive make-believe.' -- Dan Neil. The first five points of Alex Roy's Human-Driving Manifesto are on point. 1. We Are Pro-Human, in pursuit of life, liberty and freedom of movement, by any means that does not infringe upon the safety of others. 2. We Are Pro-Technology, but only as a means, not an end. Technology is only as good as our understanding of it, and an incremental approach will save more lives in the near and long term while mitigating the second order consequences of an all-or-nothing approach. 3. We Are Pro-Safety, through a combination of improved drivers education, deployment of Advanced Drivers Assistance Systems (ADAS)--such as Automatic Emergency Braking (AEB) & Forward Collision Warning (FCW) Systems--and Parallel automation. 4. We Support Raising Driver Licensing Standards. Driving is a privilege, not a right. Earn it, keep it. Abuse it, lose it. Periodic retesting is essential. Education must include familiarization with the capabilities and limitations of new safety technologies. 5. We Support Defined Safety Standards & Transparency. "Safe" and "safer" must be defined, and claims by autonomous vehicle manufacturers and providers must be backed up by data shared publicly. If and when self-driving cars meet a regulatory safety standard, their deployment cannot infringe the public's freedom of movement. Nevada now joins the exclusive club of states that permits speeds of greater than 75 mph on a few rural highways and interstates, which includes Idaho, Montana, South Dakota, Texas, Utah and Wyoming. The "trolley problem" was first introduced in 1967 by Philippa Foot, a British philosopher. The trolley problem is a simple if unpleasant ethical thought puzzle. The trolley problem is not a test on the current tests for human drivers. Not getting enough sleep is a big problem. Randomized controlled trials show that people who are sleep-deprived can see decreases in their empathy. More than one such study has shown that sleep deprivation can leave people more sensitive to pain. Sleep deprivation can hurt cognition, and it is associated with many, many car accidents. Sleep for empathy, cognition, and safe driving. Wherein "Do not park here" is revealed to be "park on other side of street": nyc.gov/motorist/alternate-side-parking. Results Forty three percent of drivers reported consuming substances containing caffeine, such as tea, coffee, caffeine tablets, or energy drinks for the express purpose of staying awake. Only 3% reported using illegal stimulants such as amphetamine ("speed"); 3,4 methylenedioxymethamphetamine (ecstasy); and cocaine. After adjustment for potential confounders, drivers who consumed caffeinated substances for this purpose had a 63% reduced likelihood of crashing (odds ratio 0.37, 95% confidence interval 0.27 to 0.50) compared with drivers who did not take caffeinated substances. Cabbies using the Uber app receive a smartphone loaded with its technology, which tries to predict areas where rides are in high demand. The driver nearest to a requested pickup location receives a notification and is given 15 seconds to respond. Travis Kalanick, Uber's chief executive, rejected criticisms that the service violated city rules against prearranged yellow-taxi rides. "Prearrangement means it's basically on behalf of a base," he said in an interview. "We're not working with a base." David S. Yassky, the chairman of the commission, said only that the city had "led the country in terms of putting new technology to work for riders" and noted that the commission was currently requesting proposals for a smartphone-based payment system. At the meeting, officials raised concerns about a regulatory issue that would prevent Uber from processing credit cards for taxi rides, according to Mr. Kalanick. Mr. Kalanick said he had agreed to make the app's new services available for no charge for the next week, so that riders could "get a taste of the future," while the two sides try to resolve the regulatory concerns. Uber is one of several start-ups, like Taxi Magic and GetTaxi, trying to profit by connecting drivers and passengers more efficiently. Another company, Hailo, said it had already registered 2,500 drivers to use a similar service that it planned to unveil in the coming weeks. A highway that is running at peak capacity has only 4.5 percent of its surface area occupied. Traffic jams can form out of the simplest things. One driver gets too close to another and has to brake, as does the driver behind, as does the driver behind him -- pretty soon, the first driver has sent a stop-and-go shock wave down the highway. One driving-simulator study found that nearly half the time one vehicle passed another, the lead vehicle had a faster average speed. All this leads to highway turbulence, which is why many traffic modelers see adaptive cruise control (A.C.C.) -- which automatically maintains a set distance behind a car and the vehicle in front of it -- as the key to congestion relief. Simulations have found that if some 20 percent of vehicles on a highway were equipped with advanced A.C.C., certain jams could be avoided simply through harmonizing speeds and smoothing driver reactions. One study shows that even a highway that is running at peak capacity has only 4.5 percent of its surface area occupied. More sophisticated adaptive cruse control systems could presumably fit more cars on the road. Navx is a €1m a year French company whose business is speed radar location databases. In France, it is illegal to sell or use selling radar detectors, devices that pick the microwave or laser radiation emitted by speed guns and automated cameras. But providing speed trap location data is lawful. In fact, the French Interior Ministry maintains a public database for fixed radars. And companies such as Navx, or various GPS makers supply location information for mobile radars. We've all heard that driving and texting is dangerous, but Dr. Milteer (Dr. Regina M. Milteer, a pediatrician in Fairfax, Va., and member of the Academy of American Pediatrics council on communication and media) warned that pedestrian accidents have occurred because children were texting as they crossed the street and were not aware of their surroundings. And even though it may not be as hazardous to use cellphones while sitting at the dinner table or mingling with friends, it is just plain rude. On the drive home, a state trooper on the Pennsylvania Turnpike pulled (former President) Truman over for careless driving. He had been blocking traffic in the left lane, cruising along at 55 miles per hour with a line of cars behind him. So where does that leave us? With the Ford GTs, the FXXs, the Pagani Zondas, the Carrera GTs, and of course, with the true historic classics like the E-Type Jag. These are the real exotics, and guess what--they had better be driven hard. Anyone who has ever met me knows that when it comes to cars, I have lost a few nuts and bolts in my head. I love to drive, even if it's in an aging Nissan 240, a car that somehow got me from NY-SF in 39 hours last month. Cars are meant to be driven. They should have rock-chips and bugs splattered across their front hoods. Seeing an exotic in this fashion gives me pride; it shows that the car is living up to its name and the owner knows how to treat her (Or him if it's named the Bismarck). So obviously, these cars will tend to break more, even crash more. 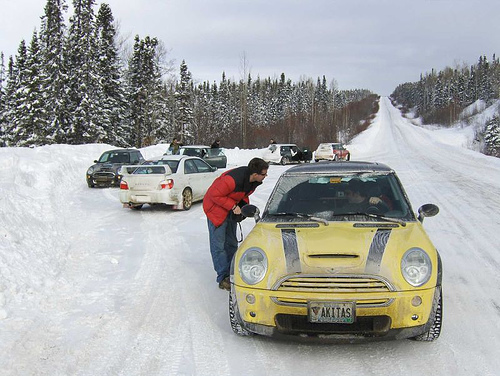 MINI Arctic drive 2007: Labrador. zooming and zipping around Happy Valley-Goose Bay. The clips were shown on Here & Now. BMW 335i, 328ix, but no 335ix ? 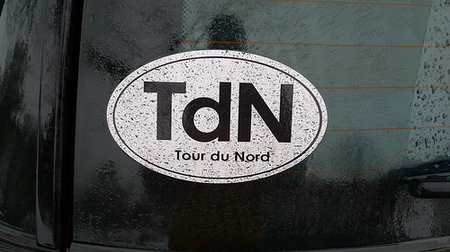 Comment on the joy of all wheel drive. The National Motorists' Association NY referrals. Fax them your ticket, they phone back with a free consultation. motorist’s issues. Self-description; recommended on NE Mini. northamericanpylon gossip about autocross competition. DUI, DWI: attorney or driver ? Attorney fees or driver's wages ? A lawyer or a cab. A wonder that people of means drive themselves. L.I.E aka I-495, the Long Island Expressway conditions. Queens, Nassau, Suffolk to Riverhead. 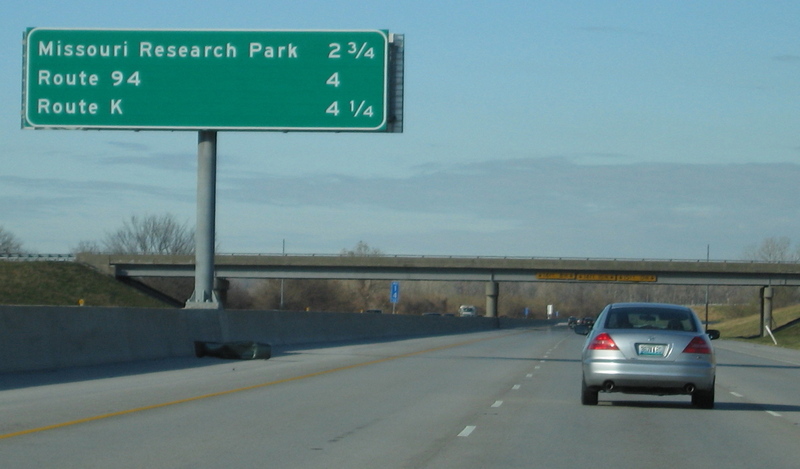 A new exit from I-64 in Saint Charles County, MO. Click on picture for full size photo pop-up. 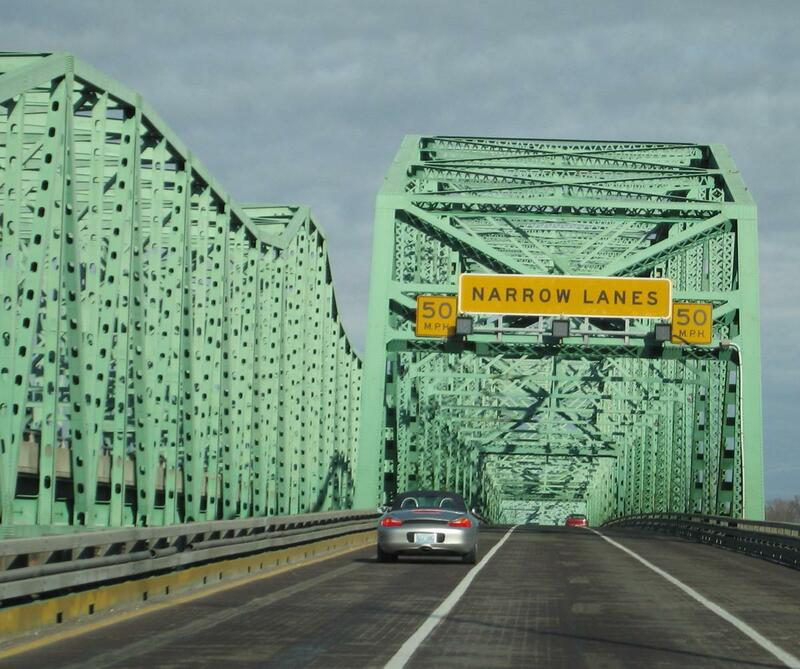 Missouri River bridge, from Saint Louis County northwest into Saint Charles County.